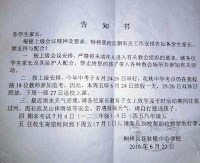 (Huaqiu, Guizhou—July 14, 2016) On June 23, a local government office in China’s central Guizhou province delivered an ultimatum to parents who attend a house church: if children do not stop attending church, they will be barred from attending college or entering the military. Additionally, violators of the new regulation will be sued. When other Christians asked whether or not the central government had ordered this legislation, local officials refused to answer. 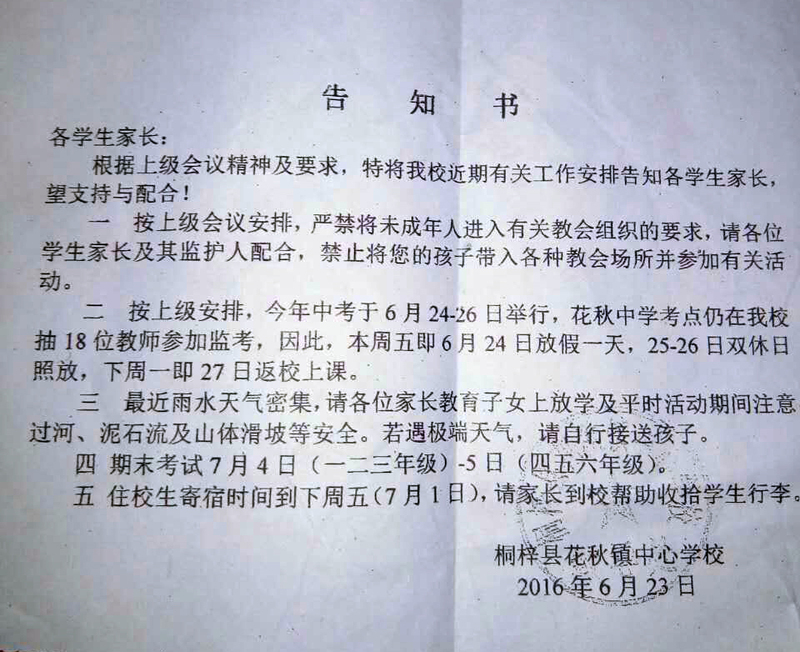 In addition, officials prevented the church from conducting its Sunday services on June 28 and July 5. A translation of the notice is forthcoming. China Aid exposes abuses, such as those experienced by Huaqiu Church, in order to promote religious freedom and rule of law in China.